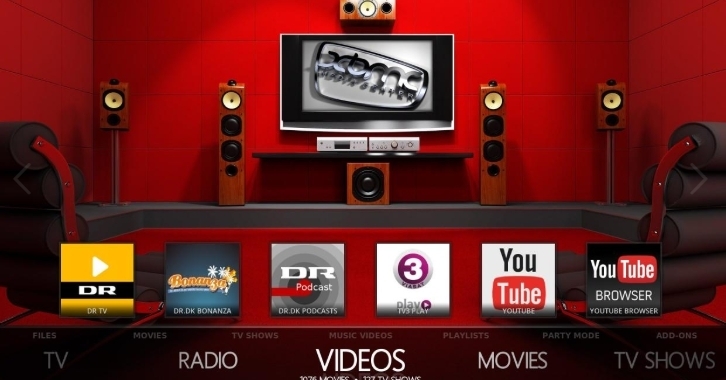 Kodi is an open-source media player clearly designed for the purpose of home entertainment. 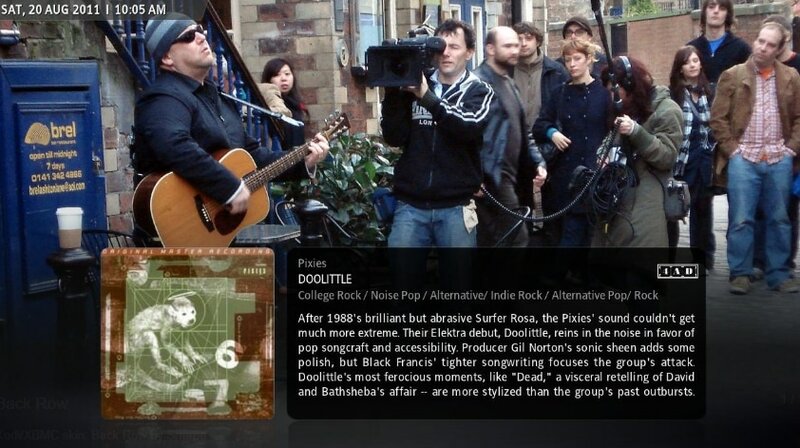 It was previously known as Xbox Media Center (XBMC) as it was specifically created for the Microsoft Xbox. Since then it has continued to expand. It can play media files of various formats, supports almost every popular platform and can be easily customized as per an individual’s needs. Skins for Kodi are files that change Kodi’s visual design (UI). Kodi skins not only bring about cosmetic changes but they can give Kodi an absolute makeover by reorganizing menus, changing backgrounds and themes. So, if you want to add a little jazz to Kodi on your device, it is time to change Kodi skin. Open Kodi, navigate to Settings (gear-shaped icon) and click on Interface Settings. On the left side menu, click on Skin. Now on the right side choose Skin options under the Look and Feel category. The two default Kodi skins (for Kodi Krypton), Estouchy and Estuary, will appear in a box. To get other Kodi skins, click on Get More option on the right. Click on the Kodi skin of your choice and see the appearance of Kodi change in accordance. Now that you know about changing Kodi skins, let’s get talking about the top Kodi skins available for your devices. Aeon Nox is one of the best Kodi skins and among the most recommended ones. It offers a broad range of customizable settings and comes with a simple and clear interface. Hence you can play with its colors, themes, and fonts. It also allows you to completely overhaul the main menu. Furthermore, the skin is lightweight with download file size being just about 10 MB approximately. Therefore, it works fine with all the devices and does not hang them up. 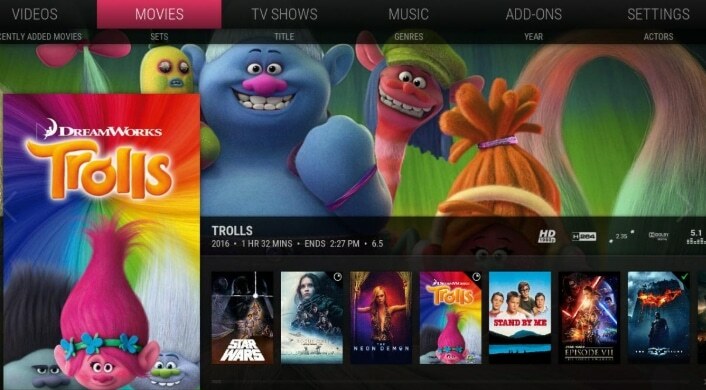 Thus, it appeals to both experienced as well as new Kodi users. Some other variations of this skin popular among users include Aeon NoQ, Aeon Nox 5: Destiny, Aeon Nox 5: Dragon, Aeon Nox LEGO, and Aeon Nox Silvo. 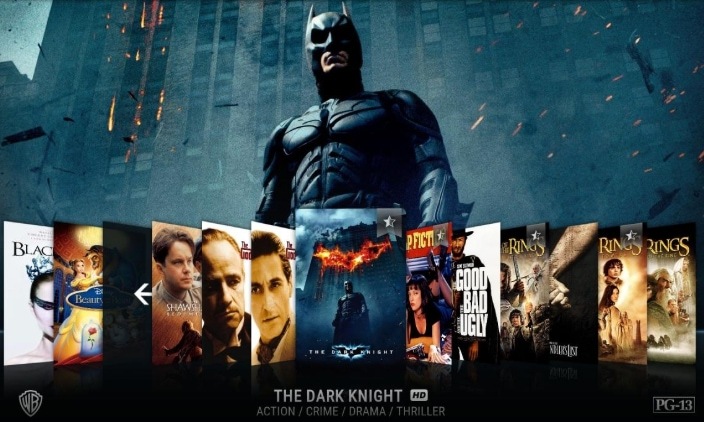 Black Glass Nova is another popular Kodi skin owing to its ease of use and various features and customization options. In its default setting, Kodi’s menu appears as a horizontal bar with large thumbnails. As you navigate left or right via multiple content categories, you will view images of what each category represents. When you scroll through the main menu, you will also see sub-menus at the bottom of the screen. 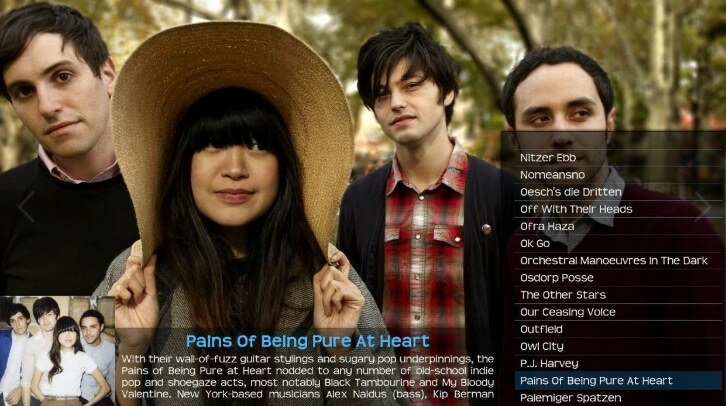 Another striking feature is that you can browse your content in a number of ways. As this skin has a lot of small details, we recommend that this skin should be used on a large-screen device. 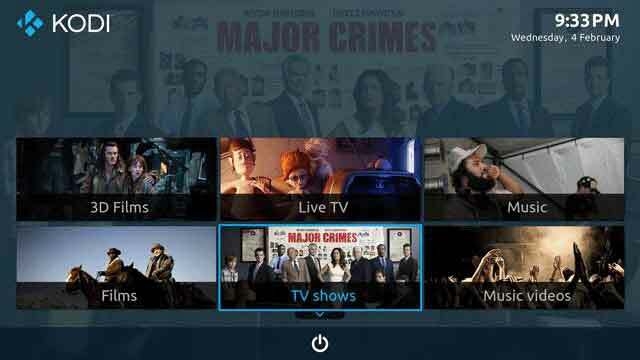 Otherwise, you may not get the best results with Kodi’s interface. Additionally, this Skin is very light and therefore it can be downloaded and installed quickly. Amber is another lightweight and highly customizable Kodi skin which offers a lot of features and runs smoothly on all devices. It boasts of an easy to read interface, sharp and clear text and smooth navigation across menus even on slower devices. By default, its home shelf is horizontal where the main categories are visible outright. If horizontal menus do not appeal to you, you can opt for a vertical menu. The best part is that you can customize almost everything such as a home shelf, home menu, background etc. 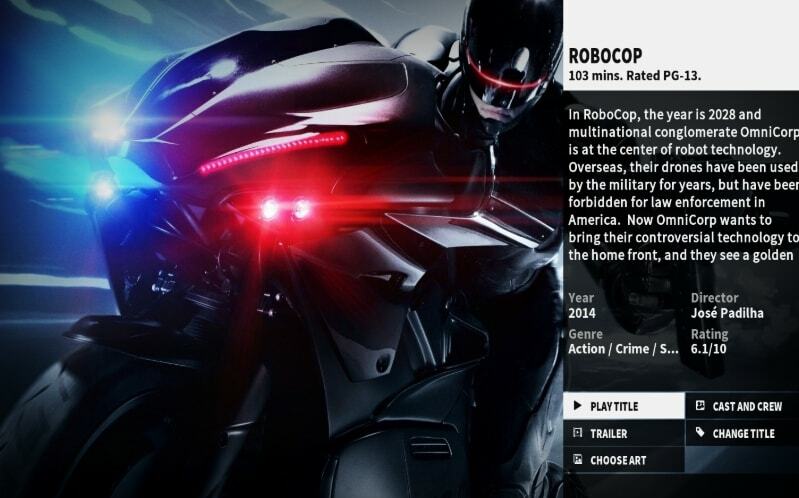 – this is why it is one of the top Kodi skins. Xperience 1080 was designed for HD viewing and hence the users get the best view specifically in HD. It is panel-based making it easy to use. It offers good animation and is a lightweight skin. If you happen to own an Xbox One, you will see that Xperience 1080 has a similar look and feel. ReFocus is a feature rich skin with an excellent design. 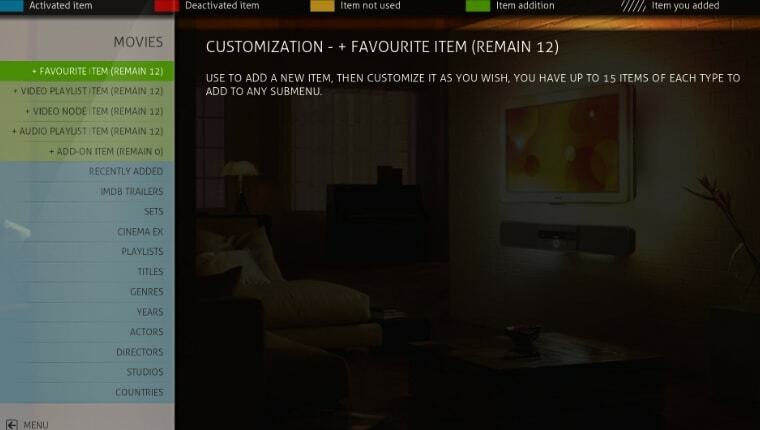 It is highly customizable letting users tailor home items. It comes with touch support, artwork downloader, skin widgets, etc. This Kodi skin is a near perfect choice for users who are using Kodi on touchscreens. Additionally, it keeps a track of the movies and TV shows you have watched and provided recommendations based on your choice. Mimic is one of the best skins for Kodi that boasts of a flat design. This means that this skin has no extra gradients or the flashy stuff but what you will see is the color blue with its various shades sans any background image. It also comes with a tremendous amount of customizing options and allows you to adjust the color according to your aesthetic choices. Owing to its built-in support for touchscreens, this skin works on multiple devices, including phones and tablets. Furthermore, one extra perk it offers is the fan art which can be used to edit the home page. You can also view the contents in a horizontal or vertical list, as per your needs. Arctic: Zephyr is a simple and clean skin with a minimalistic design. 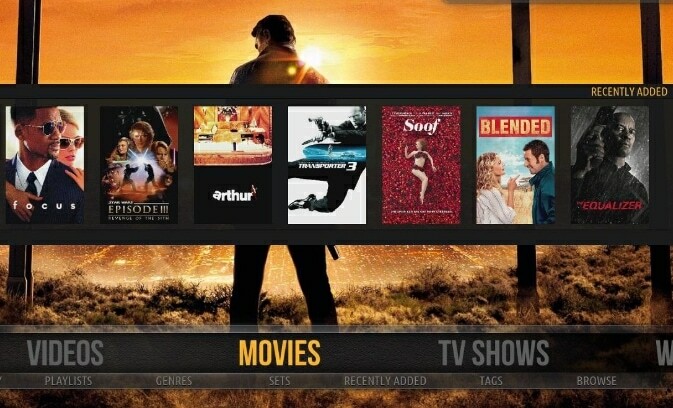 Being functional and attractive simultaneously makes it one of the top Kodi skins. 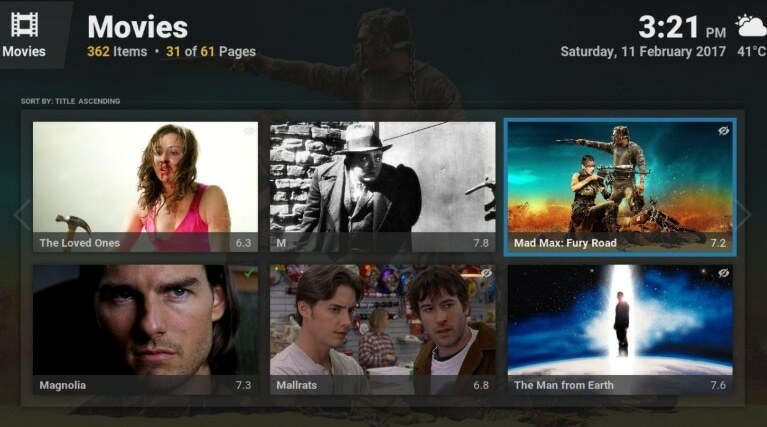 In its default settings, Kodi’s menu can be seen as a large, bottom-positioned bar displaying the main content categories. You can also add your shortcuts here if you choose to do so. This skin offers various viewing options and each option has a beautifully done layout. However, this skin does not allow you to use the mouse and fails to offer touch support feature. But it still works well with the Amazon Fire Stick and Fire TV devices as it brings together a lot of information over a small screen space quite efficiently. Titan is one of those Kodi skins that come with a simple yet effective design. Its layout and flow of information are what make it different from the other Kodi skins. 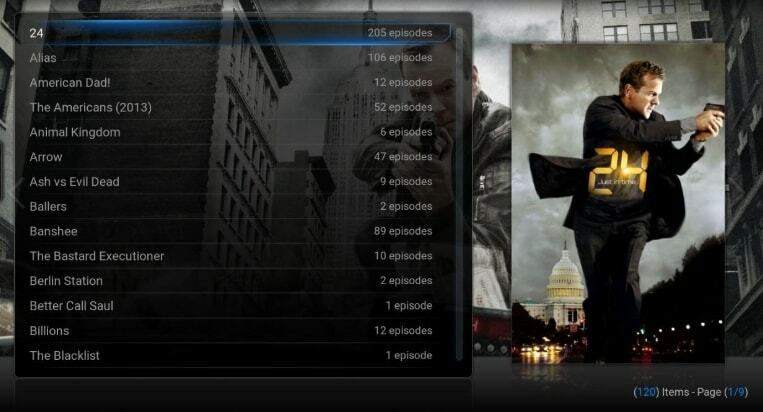 This skin allows you to find all the information at one place making TV show/movie selection a smooth experience. Its simple interface makes it an ideal choice for smaller devices. Confluence is the default skin for Kodi Jarvis and is among the most popular skins till date. Its simple yet stylish and effective interface make it one of the best skins for Kodi. This skin has a horizontal menu. So, you have to navigate from left to right in order to view the media contents. But the fact that it looks stunning makes this hassle worth it. Also, users prefer to use this skin when it comes to Android devices. It is also compatible with Raspberry Pi. If simplicity appeals to you then Pellucid with its clean and elegant interface is the Kodi skin for you. Its menu is placed at the left side and the home menu has images positioned at the bottom of the screen. For the Kodi users who like to watch live streaming on their Kodi media center, we recommend to use Pellucid as quality wise it stands second to none. Although Kodi Jarvis users cannot yet use Pellucid as currently, it’s only available in Kodi Krypton. Metropolis skin has a modern and retro feel to it. Its text and icons are easy to read and understand. It offers multiple themes that are easy to customize. 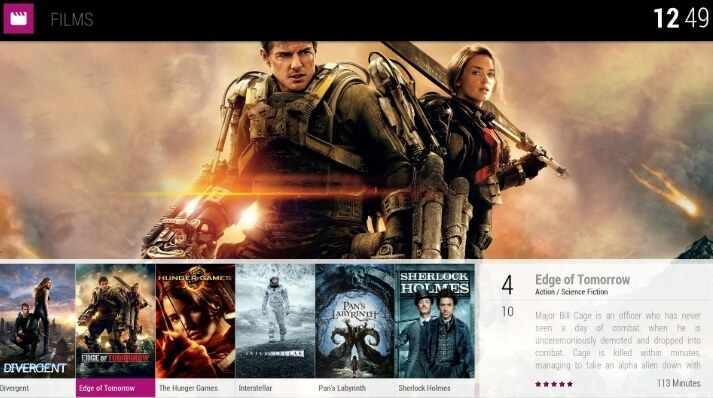 The default layout can be changed in a couple of ways and you can select different viewing options. For example, you can sort vertically or horizontally. This skin displays a lot of information about your media content. 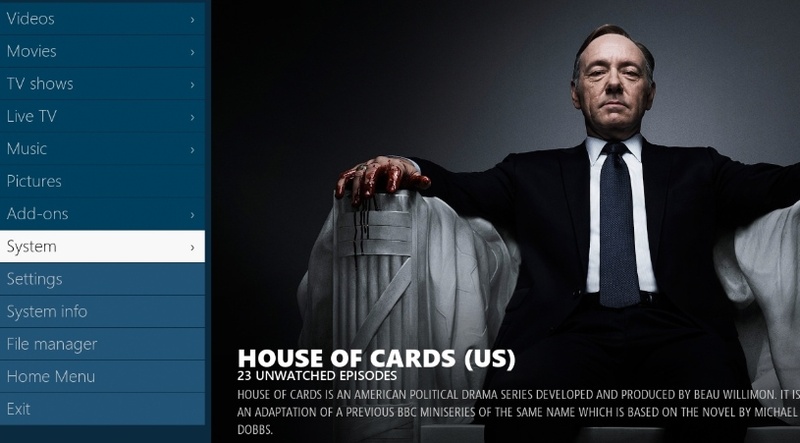 In the TV Shows category, you can see the number of episodes stored and the number of those that are yet to be viewed. You can also view your recently added files at the bottom of the screen. Another unique feature is the custom logos for TV shows. Eminence has a simple user interface. This skin has a good working speed but it is not as customizable as other Kodi skins. 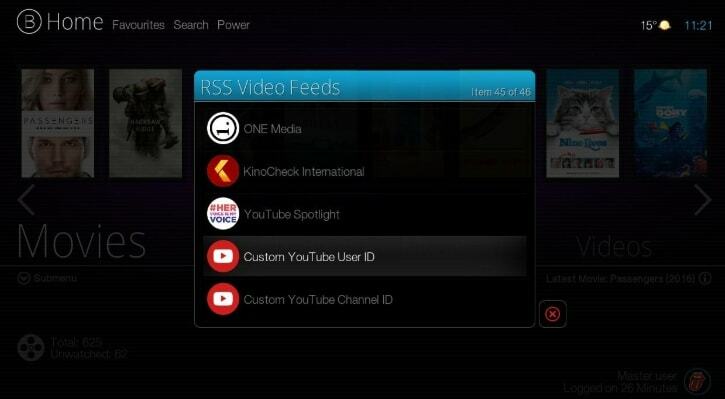 Its functioning is way smoother than any other skin and we recommend it to users recommended who have many Kodi add-ons installed in their media center. This skin has a black background with white icons. These icons turn light blue on being selected. As it has menu items with detailed texts, Eminence is easy to scroll through. Also, there are many small icons located at the bottom of the screen. 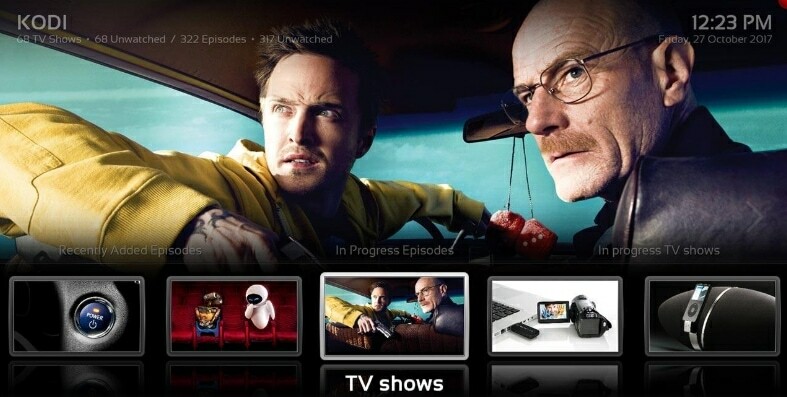 Nebula was mainly built to give Smart TV users a smooth streaming experience. It is a user-friendly, simple skin that has a lot of rich features to offer such as touch support, extra fanart, custom home items, live TV etc. This skin comes with a lot of customization options and works great with HD TV screens. This skin is highly recommendable for music lovers. Additionally, you can also customize your Fire Stick device with Nebula. Transparency is a popular fan art Kodi skin. This means that Kodi users can customize this skin in the blink of an eye as per their desires. It supports all the features of Kodi Jarvis and is known for its ease of use. Some of its main attributes are a vertical home menu, TV shows’ logo, custom home items etc. This skin has a vertical menu with beautiful images. Its main colors are black and blue. The settings menu can be navigated easily as it has a unique image for each menu item with large text displayed explaining what the item does. You can find your video add-ons via a submenu. AppTV can be safely called a revamped version of Apple TV. This skin has an amazingly fast interface. Also, the users can customize it as per their choice. 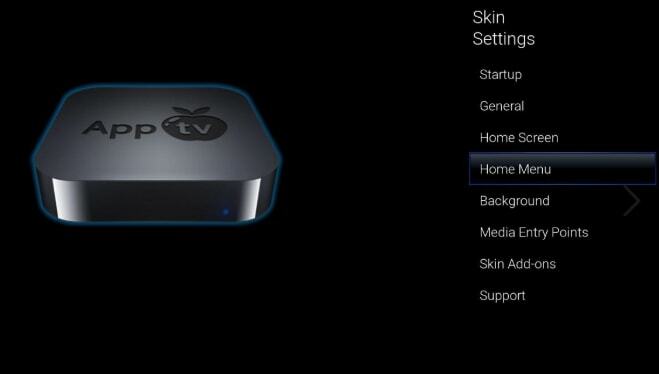 We would recommend this skin to Apple users as its look and feel are highly similar to Apple TV. Its layout and icons are more or less like those of Apple TV. Ace is another preferred skin for Apple iOS. It’s a lightweight skin with rich features and offers loads of customization. It is also one of the fastest Kodi skins. Although it works well with all devices, Ace does not support Live TV. Apart from this downside, it is a perfect Kodi Skin for all Kodi versions. SiO2 is another Kodi skin best suited for Apple TV users as its interface is similar to that of Apple TV. Although the skin does not have any customizing features, it makes up for this drawback with its ease of use. It also functions at a good speed. If you want a skin with a simple and clean interface, yet want to be able to customize it then go for Maximinimalism. This is a lightweight skin and offers an easy to use a dashboard to the users. Many Kodi users highly recommend this skin has and we also advise the users to give it a shot as it is a good option. In its first look, Back Row has a striking similarity to iOS and Mac. Although its interface and icons will remind you of iOS and OS X, Back Row is compatible with all streaming devices. This skin offers a unique home theatre experience, unlike any other skin. So, if you are a cinema fanatic this is just the skin for you. Titanium is one of the old Kodi skins. It has an awesome touch ability and works well with any Android device. It is compatible with all the music, video and program add-ons. It offers a smooth experience while streaming videos and music. 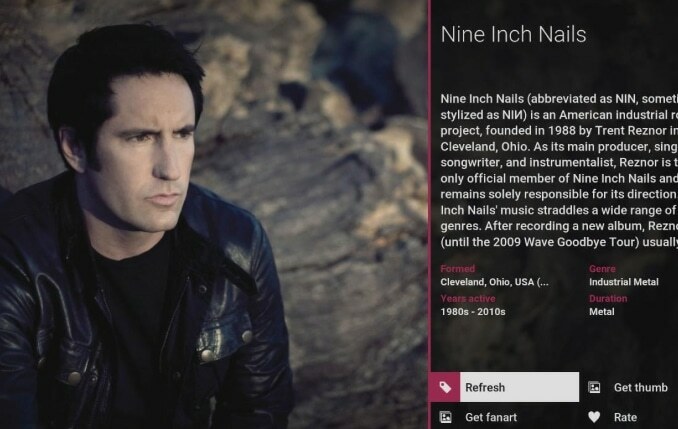 If you are a movie and TV shows enthusiast, you must try Fuse Neue Kodi skin. It displays the media content in an elegant and appealing fashion with different images and descriptions. Although this skin does not offer many customizing options, it is still far better than Estuary, the default skin for Kodi Krypton. We recommend its use on account of its simplicity. True to its name, Eunique brings an undoubtedly unique experience to the users with its bright colors. In addition, the media contents are easily accessible via the main menu as this skin has a simple interface. Rapier is one of the oldest Kodi skins and works well with almost every Kodi version. It is often called a complete version of Kodi skin due to the wide range of customizable options it offers. It has a simple yet attractive user interface. Bello 6 is the 6th generation of Bello Kodi skin. 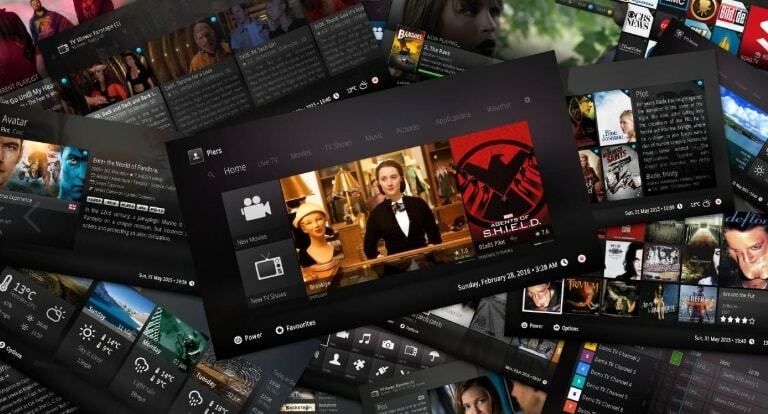 Although it is one of the oldest Kodi skins, Bello has been upgraded from time to time so that it brings the best streaming experience to Kodi users. This skin has a black and white color scheme san any images. It has a simple and easy to use interface. It has a horizontal menu with no icons, just text describing where the items will take you. KOver 2 is an efficient Kodi skin sporting a modern look. One of its key features is that it displays information without cluttering the screen. The best part about this skin is the KOver Designer feature that allows users to customize various elements of the GUI in a professional manner without requiring any specific skills. This skin is built around KOver Designer allowing you to experiment with the settings after you install this skin. Another striking feature made available to the users is auto build. It allows the users to automatically build the view types of the skin, significantly reducing the time needed to customize the skin. Note: All the Kodi skins mentioned above can be downloaded from the Official Kodi Website. These were some of the best skins for Kodi. 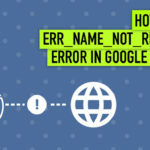 We hope you found this list interesting. 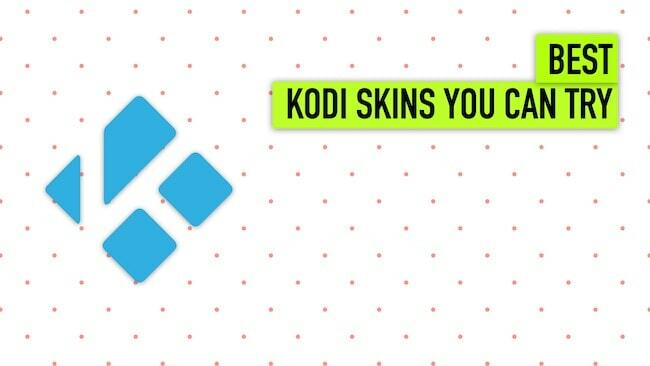 If you are aware of some other good Kodi skins, feel free to contribute to our guide via the comment section below.